Platoniq LAB - Platoniq CoLaboratory / News / Platoniq is hiring: Content producer & Editor (Temp role)! Platoniq is hiring: Content producer & Editor (Temp role)! Platoniq is a team of cultural producers, social innovators and digital platform developers across different regions in Spain. Since 2001, the association of ICTs, free and open culture and citizen participation has been our main driving force to create social innovation regionally, nationally and internationally. We firmly believe in the potential of open culture in opposition to the privatisation of knowledge and as a tool for more democratic and collective access to information, to the Commons and the empowerment of diverse communities. 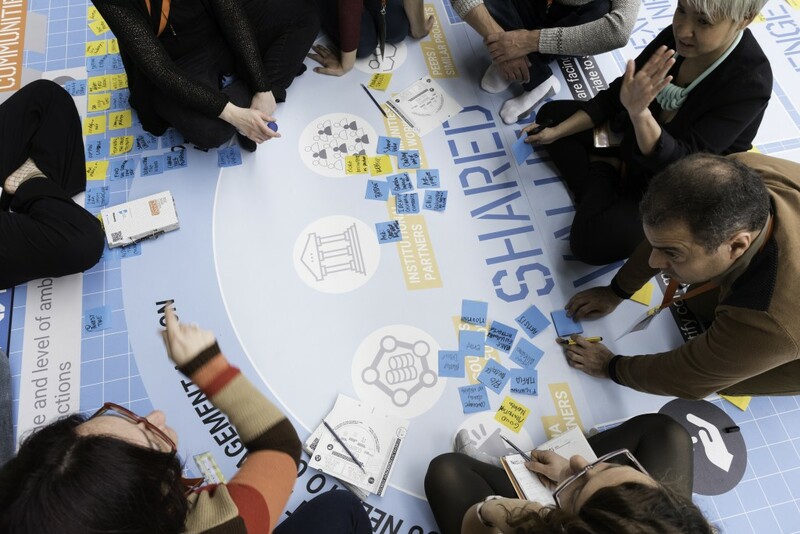 Through our approach, we facilitate collaboration and distributed innovation processes that are able to introduce cultural shifts in organisations from sectors such as education, culture, heritage and social and solidarity economy. Platoniq is looking for a Content Producer & Editor to support across a number of social innovation and co-creation projects with a European scope. Culture Labs: a project that seeks to promote the use and reuse of European cultural heritage through partnerships between community organizations, public and cultural institutions, with a special focus on migrant communities. Universities of the Future: developing a set of tools and approaches to make co-design practices and mindset deeply rooted into the new types of learnings for Industry 4.0 and into the creation of products, services and industry. Moving communities: we are working on the 2.0 version of an idea-development methodology we have previously developed, focusing on innovative ideas committed to social change. Editing and reviewing content for existing and work-in-progress Platoniq’s methodology manuals and web content on Wotify.eu (Moving Communities). 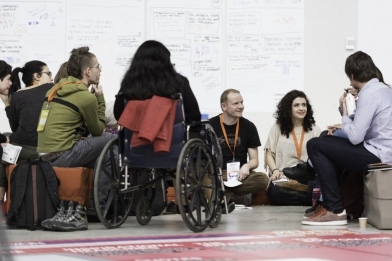 You will work alongside five members of staff focusing on the design and facilitation of co-creation methodologies, European project management and development of digital platforms. Type of contract: Contrato por obra o servicio determinado, 20 hours a week, negotiable working hours. Gross salary: a total of €5.000 in 6 monthly payments. This is 6 month contract starting at the end of May 2018 until end of November 2018. Extensions of the contract could be considered in the possibility of new European projects or delays in the timeline of current deliverables. You will be preferably based in Barcelona or Madrid, but we are open to considering people based elsewhere. The role will require travel to Barcelona and Palma de Mallorca. You will have to be eligible to work under under Spanish labor law. In case you were not a Spanish national, please note that we are required to hire employees that already hold a Número de Identidad de Extranjero (NIE). You speak fluent English. Fluent Spanish is a plus, but not required. Interest in and understanding of the technical requirements of developing digital platforms. Please send your CV, cover letter and a sample of your writing to Elena Silvestrini through elenaATplatoniq.net by 13th May 2018 using ‘Content Producer Platoniq + Your Name’ as subject line. Interviews will be held via Skype on the week starting 14th May 2018. As we are hoping to fill this role as soon as possible, we will be reviewing applications on a rolling basis. Please do indicate in your application where you are based and when you would be able to start. We are committed to providing equal opportunities for everyone regardless of their background and are particularly keen to receive applications from people from minority ethnic backgrounds, people with disabilities and people who identify as being LGTBQIA. when talking about their project.